China Peak Mountain Resort is located at Huntington Lake, just 65 miles northeast of Fresno, California, and the Fresno Yosemite International Airport. Skiers and riders will find 1,679 feet of vertical and a summit elevation of 8,700 feet. The mountain resort services its varied terrain via seven chairlifts, one T-bar and three moving carpets. Skiers and riders will find a variety of terrain parks to choose from and an estimated 300 inches of average annual snowfall. Lodging at The Inn at China Peak offers slopeside access and après ski at JW’s Original Bar. Summer visitors will find a number of activities, including a mountain bike park, disc golf course and scenic chair rides. Day lodge with fast food service and bar; Inn Restaurant at base; mid-mountain snack bar and picnic area. Ski rental, repair shop and sport shop on-site. Lessons offered for racing and Kids' Express Programs. Free lift ticket on your birthday. 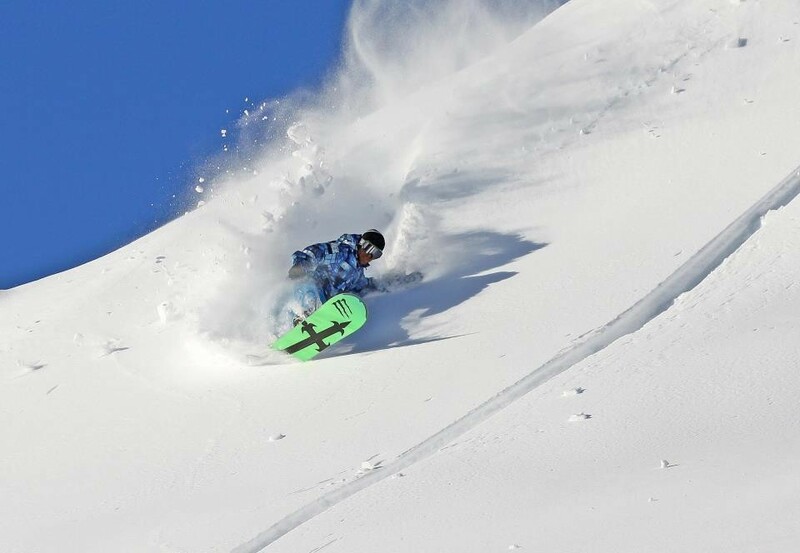 Get Snow Reports, Powder Alerts & Powder Forecasts from Ski China Peak straight to your inbox!